Today’s post isn’t really a recipe, but more of a recommendation to go buy a meat grinder. Since getting one for Christmas, we’ve had a great time making new recipes and thinking about what goes into our ground meat. From meatballs to burgers, grinding your own gets you incredibly better results than the store bought option. So, getting back to the tenderloin: Don’t worry, we didn’t grind the filet mignons. We did, however, find a way to make use of the chain meat that’s normally thrown away when you buy a whole tenderloin. The meat is rich and flavorful, but too fatty and disconnected to stand alone. Alton Brown recommends this meat for philly cheese steaks, but we like burgers better. So, we ground the chain meat with some fresh herbs, cooked the meat on a cast iron skillet, and enjoyed one of the juiciest, most flavorful burgers ever. 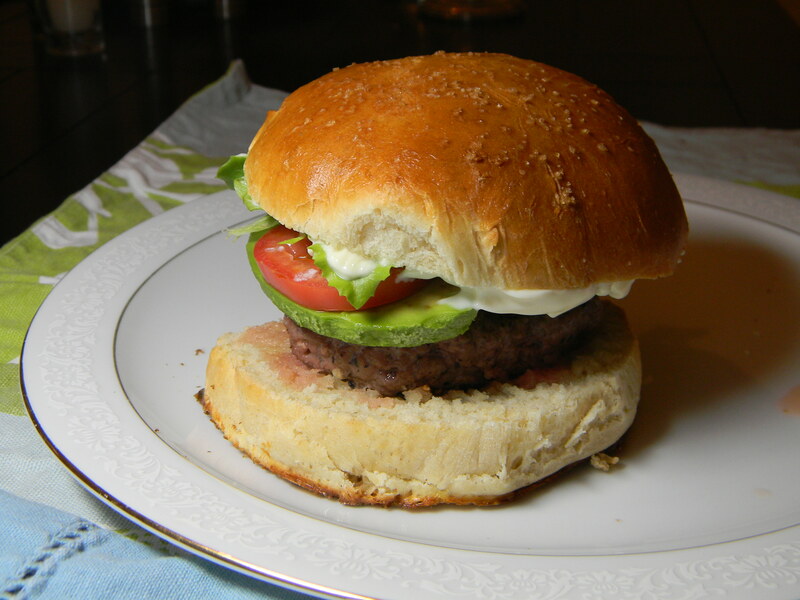 If you’re inspired, go get a meat grinder, butcher a tenderloin, and make some hamburger buns. ENJOY! By the way, check out the updated bun recipe page! I love burgers and CLEARLY I need a meat grinder! That may be what I ask for for Christmas since I already have the KitchenAid!